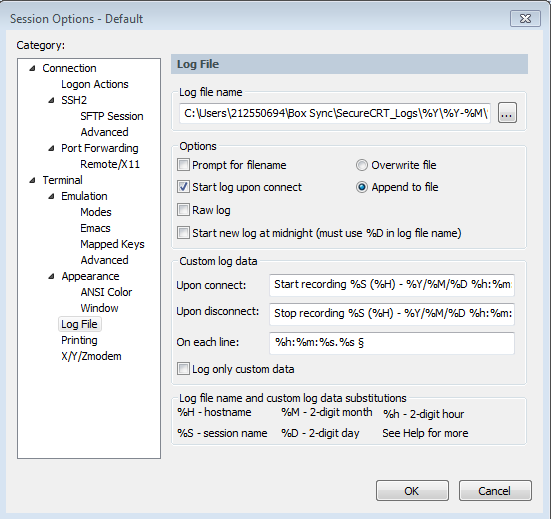 This post will lay out how to setup aut logging for all sessions globally. This is also geared toward Windows, but the same logic can be used on any platform. Only the folder structures will change. I am using SecureCRT Version 7.3.7 (build 1034).